Northfield bed and breakfast travel guide for romantic, historic and adventure b&b's. 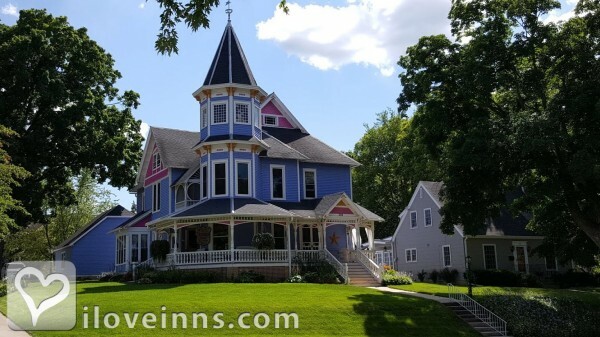 Browse through the iLoveInns.com database of Northfield, Minnesota bed and breakfasts and country inns to find detailed listings that include room rates, special deals and area activities. You can click on the 'check rates and availability' button to contact the innkeeper. Northfield, Minnesota might be a small town but it boasts of one smart museum called the Northfield Historical Society Museum, which also said to be a historic site aside from it being the home of some of America's more important historical pieces. There is also the Northfield Arts Guild, which offers tourists art-themed establishments including galleries and specialty shops. Then there is finally the Cowling Arboretum, a beautiful garden located within Carleton College .4 miles from the town's center. These are all tourist destinations worth visiting while vacationing in Minnesota. One will never regret dining in the town's restaurants, which include Basil's Pizza Place, Hogan Brothers, Chapati, Kurry Kabab, George's Vineyards, and Castle Rock Caf�.So what is one waiting for? Have a great time and be charmed forever with this small Minnesota town. Reserve rooms now with a Northfield bed and breakfast. By Archer House.